Agi Foeglein coaches Cambridge men’s handball team, who play in Super-8, the top league in England. She also coaches training sessions for the Cambridge women’s team - who she plays for - helping them to promotion to Super-7 in 2015-16. Agi, who first played handball aged 10 in her native Germany, does all this voluntarily. She works as a biomedical scientist/researcher at Cambridge University. 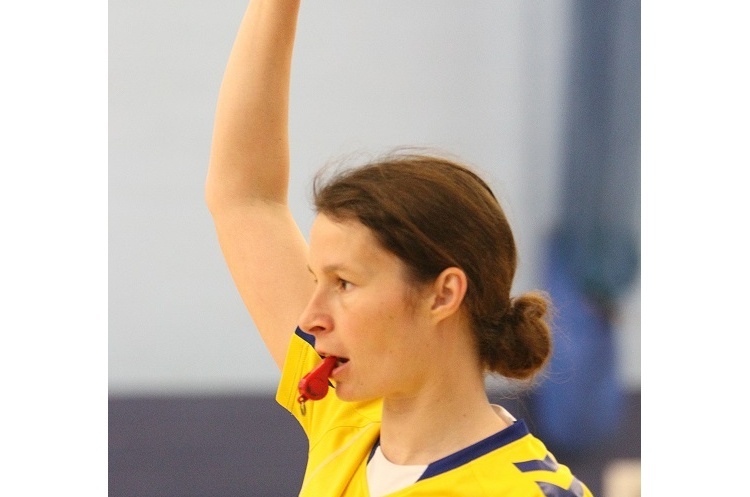 Here, in Women's Sport Week, she talks about the differences between coaching male and female players, and her experiences of being a female handball coach in England. It is strange that there are so few women coaching men in sport. I don’t see any problem with it and personally I’ve never had any gender-specific struggles. However, where there is actually quite a big difference is the management of female and male athletes. They respond very differently to instructions and feedback. The way you communicate as a coach is as important as the ‘factual’ instructions. Some players require very specific instructions, others only guidelines, while others shut down if you tell them too much. It’s all about getting the approach right and this is where you can have differences between male and female players. Overall though you need the respect of the players, and for them to believe in what you’re doing. Get this and I believe nobody is worried about whether you’re a male or female coach. I’ve never really encountered barriers to coaching in handball in England. In fact it may have helped being female. If I was a male player some of the experienced players might have questioned my competency, along the lines of: “if you know so much how come you’re not playing on the team instead of giving instructions.” As a woman, players accepted that I couldn’t gain their respect by beating them on court. I gained their respect by results - that we worked better as a team if we followed a common strategy that I put in place. I’ve found that handball, as an emerging sport in England, actually provides opportunities for women to coach at the top level. This is because coaching positions that might, in the traditional sense, be filled by men, are not because potential male coaches are actually playing. For a match, however, you need a coach and this is where the experienced female players help out, becoming coaches. In my experience female players have a tendency to volunteer and help run a club. One way they can contribute to a club’s success is by being the coach. Female handball coaches in England have seized this opportunity. We, therefore, have female coaches at a number of clubs including NEM Hawks, Brighton, Olympia, Warrington Wolves and Manchester. Overall, what I’d say is if you want to be a coach, or think you could help the club by getting involved in coaching, go for it. Being male or female doesn’t really come in to it. Either way you need a bit of confidence – and in the end a team will be happy to have an enthusiastic leader, whether you’re female or male. It’s great fun, if hard work at times, but then, what isn’t? !